Perfect for everyday layering, this faux-fur jacket features a two-tone design with chevron striping and pointed collar. Slip front pockets and silver-tone zip front closure. Shop the Joelly Faux-Fur Jacket and more, now available in-store! Disclaimer: Cannot be combined with other coupons. Not valid online or on Gc Timepieces, watches, gift cards or prior purchases. Excludes special capsules or collections. Not redeemable for store credit or cash. Valid at participating GUESS locations only. 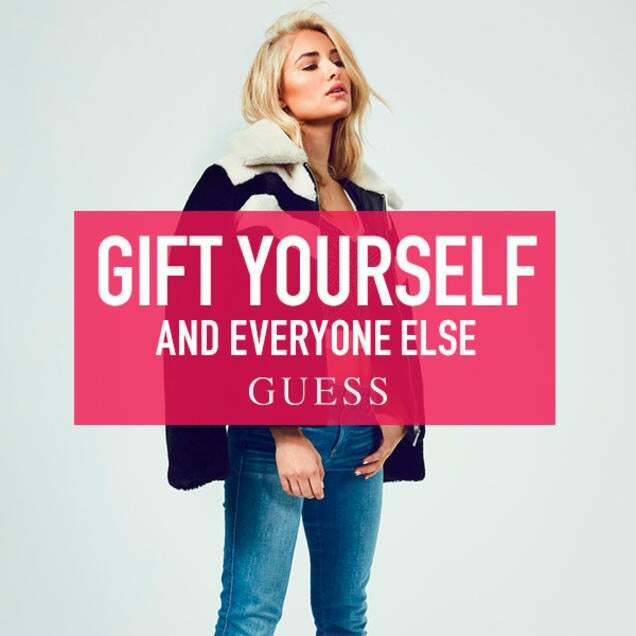 GUESS?, Inc. reserves the right to extend, modify or discontinue offer at any time without notice. Not valid for employees.